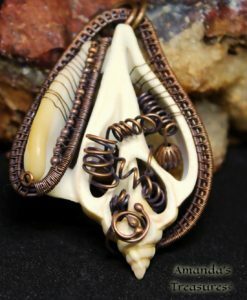 The scientific name for this type of shell is Strombus Canarius which is also known as the dog conch. 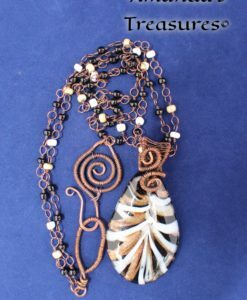 An Indo-Pacific species found in India, Sri Lanka Melanesia, Australia, and southern Japan. 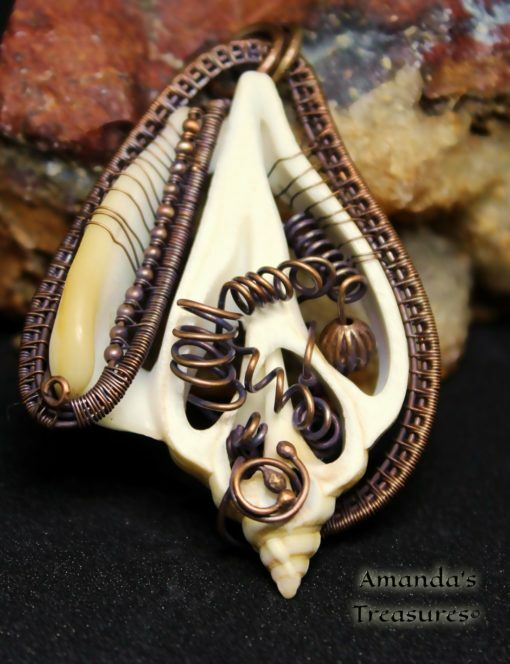 With this shell being center cut, you get an interesting look at part of the inside of the shell. 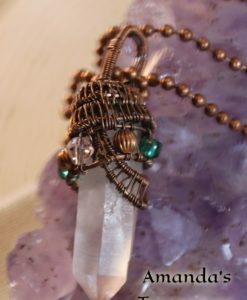 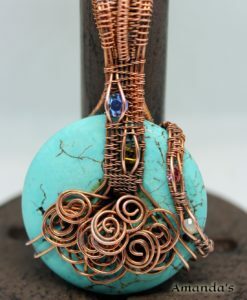 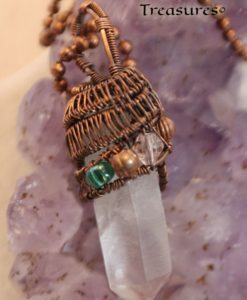 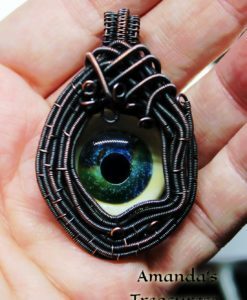 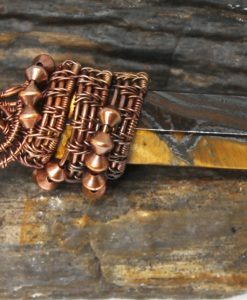 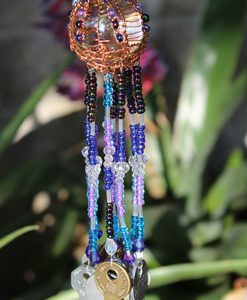 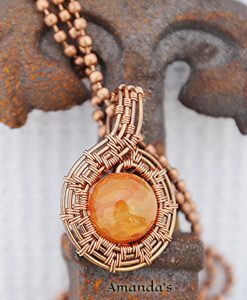 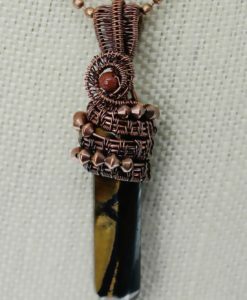 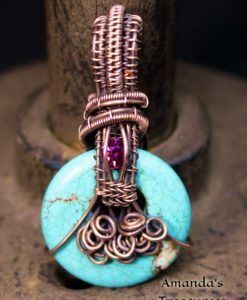 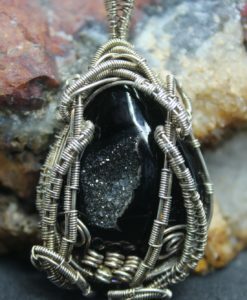 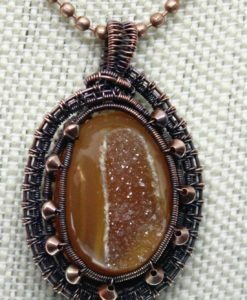 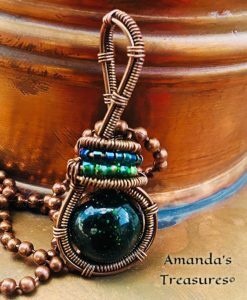 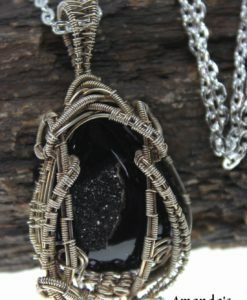 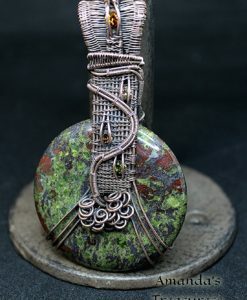 Wrapped in one of my favorite weaves, this design includes many copper beads and torch work. 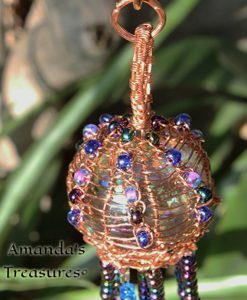 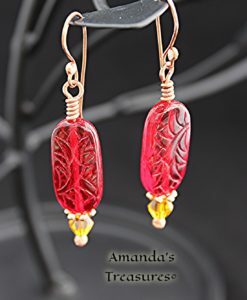 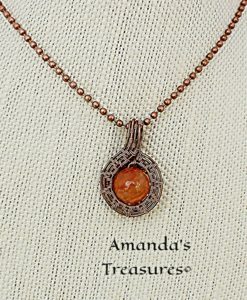 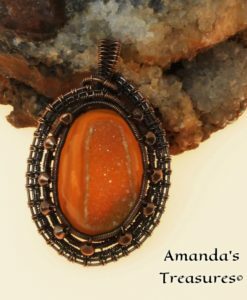 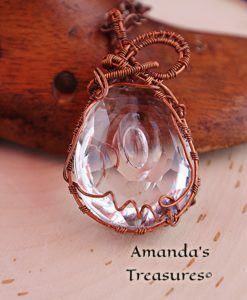 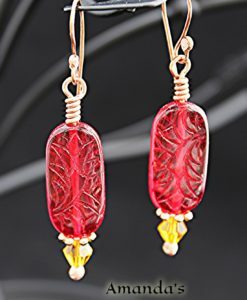 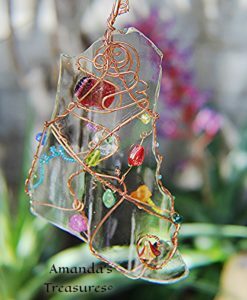 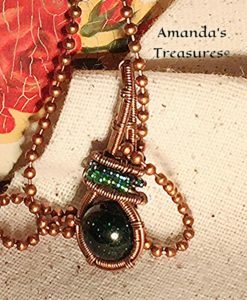 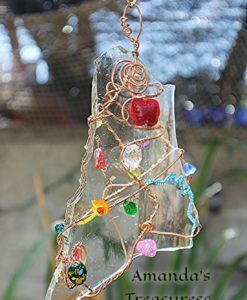 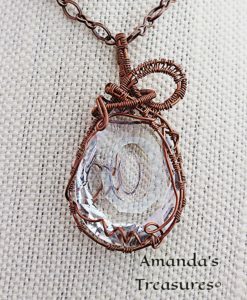 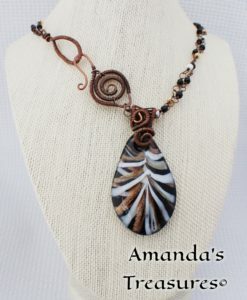 Handmade with love and dedication by Amanda’s Treasures.